This pair of American Art Deco asymetrical four drawer chests are from the 1930's. The chests face in opposite directions and each chest has one rounded end and one flat end finished in sparkling Primavera veneers. 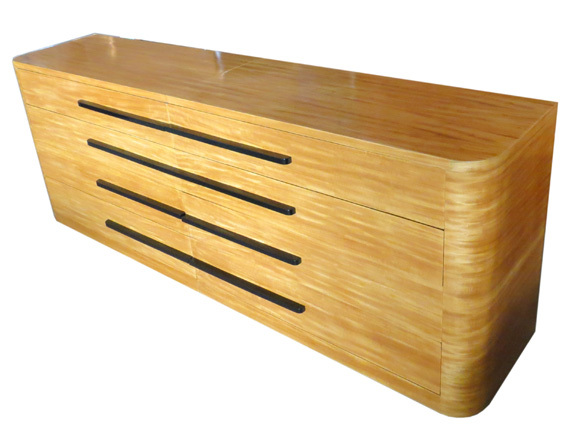 The three sides and top of each chest are so constructed that the striking lines of the veneer grain are horizontal. Ebonized pulls are in contrast to the rich blond of the veneer. Each chest is 44" wide, 19" deep 32" high.